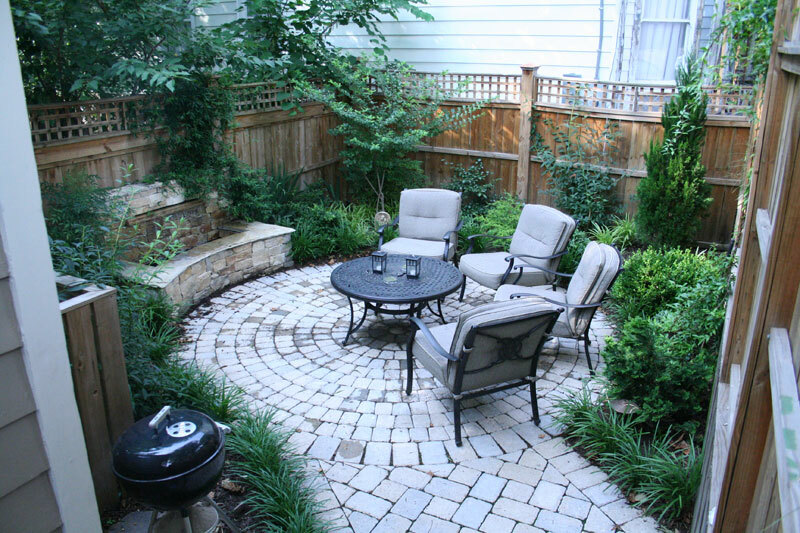 MODE designed this 17’x20’ backyard oasis in the historic Church Hill district of Richmond, VA where Patrick Henry made his famous “Give me liberty or give me death” speech. Our client occupies the corner unit in a series of pre-Civil War row houses built by a local craftsman to house his family and the families of his married children. 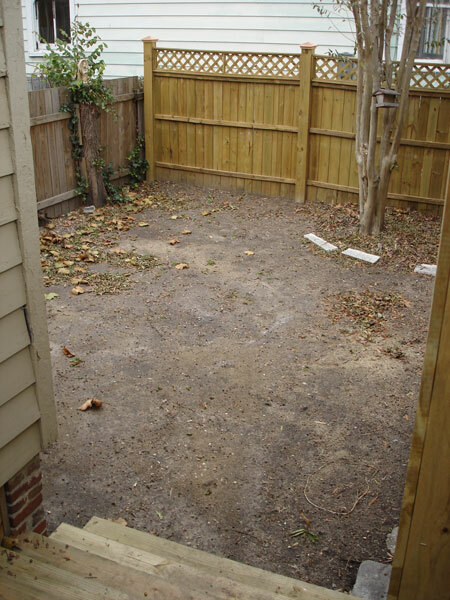 From a screened-in side porch, our client steps down into a secluded backyard. 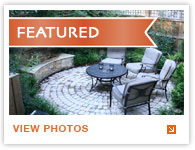 MODE created a circular patio to maximize the size of the corner planting beds and to echo a circle theme from the interior furnishings of the home as well as a round cobblestone pattern seen throughout Virginia. In response to our client’s dream of having a dramatic water feature element in her garden, MODE designed a custom, natural stone fountain. 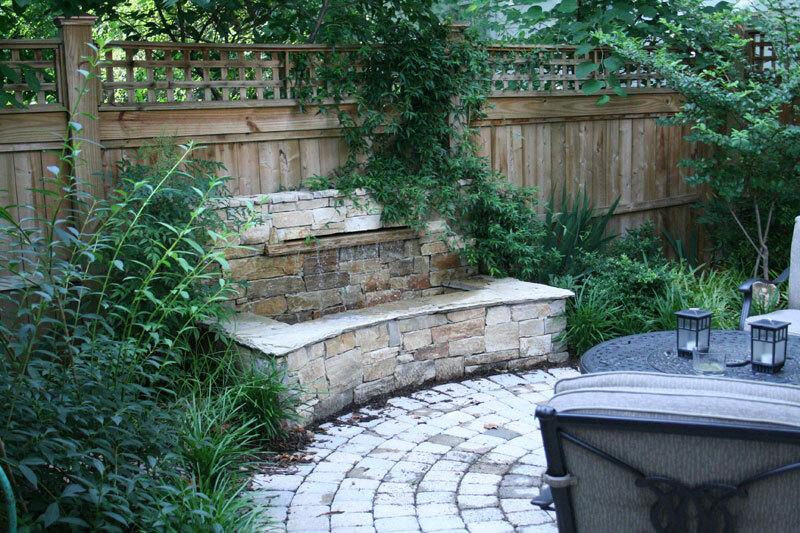 Because our client entertains often, the water feature was built with a seat wall to accommodate guests. 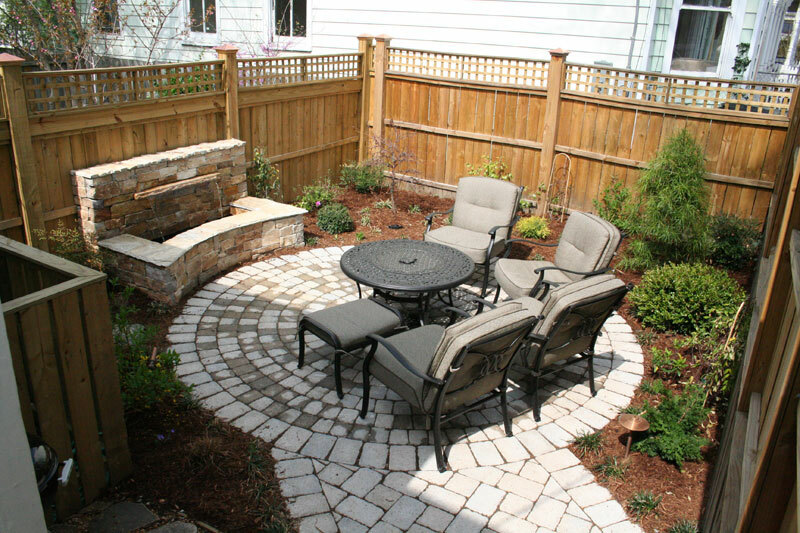 She often finds herself out in the garden in the evening enjoying a book and a glass of wine.